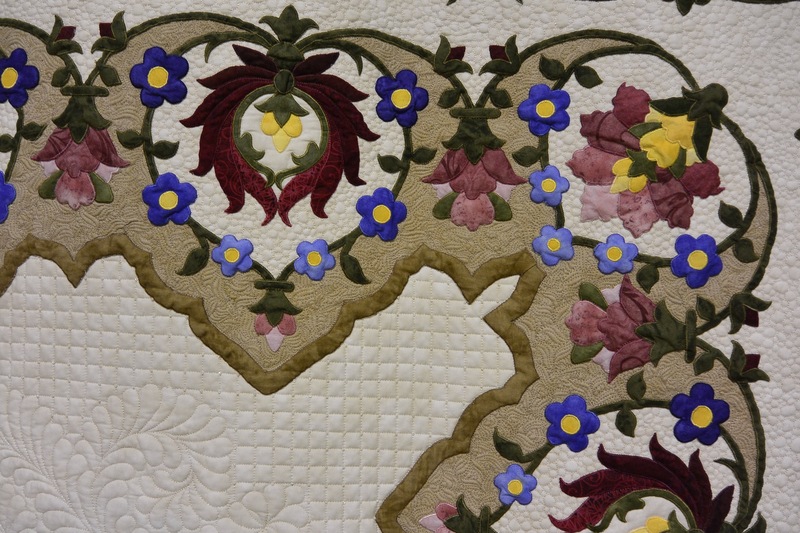 First Place for Traditional was awarded to Linda M. Roy of Knoxville, Tennessee for “Jacobean Dream”. 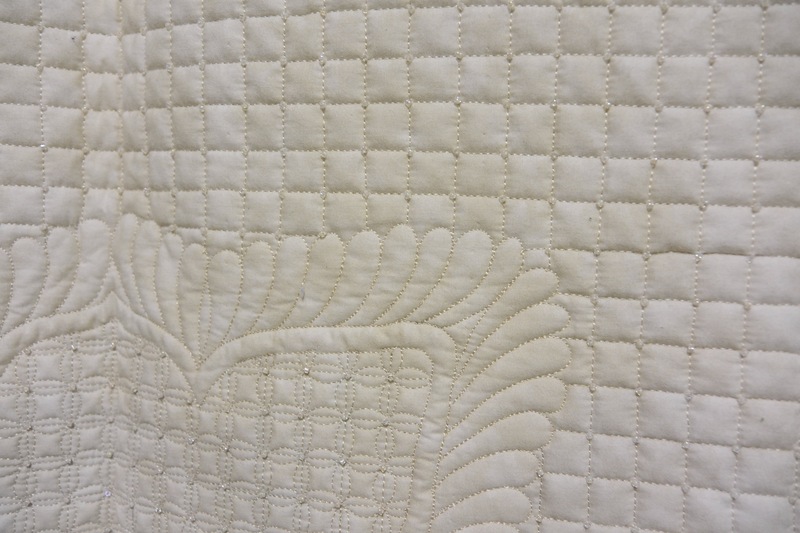 What a feast for the eyes this quilt is. 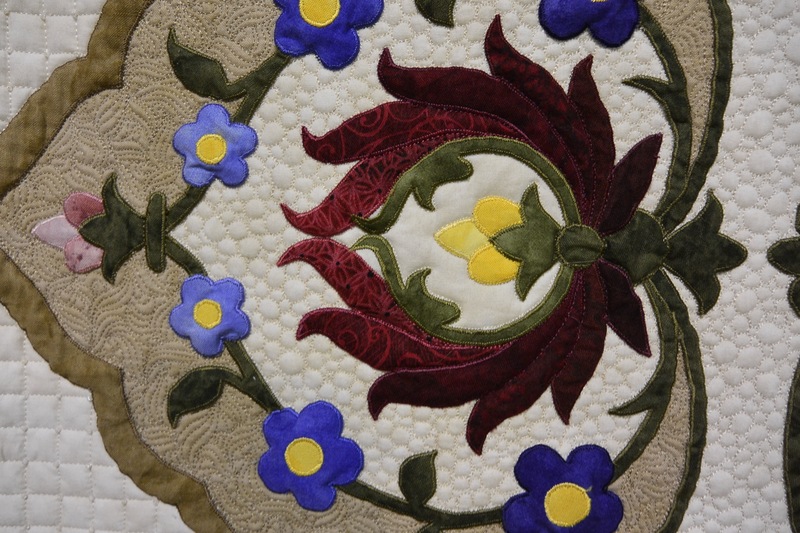 The quilt is hand appliquéd, hand quilted and hand embroidered. 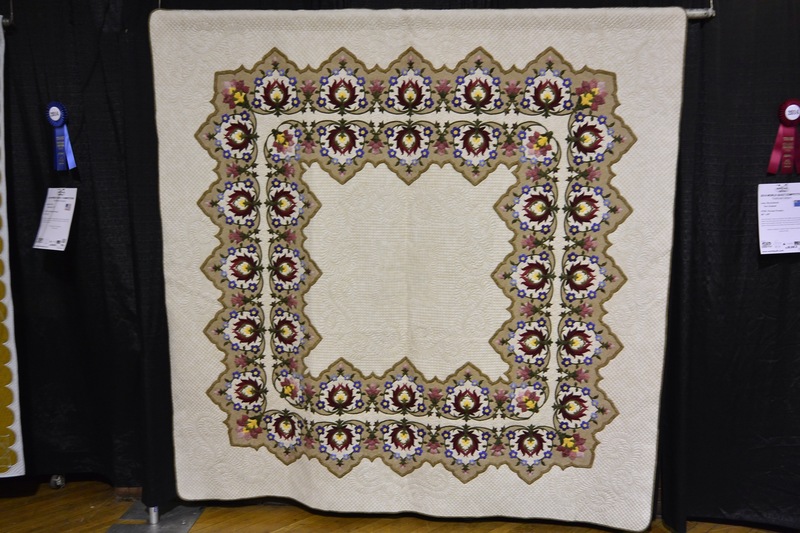 Second Place in the Traditional category went to Ansa Breytenbach of New Zealand for “Persian Promise”. 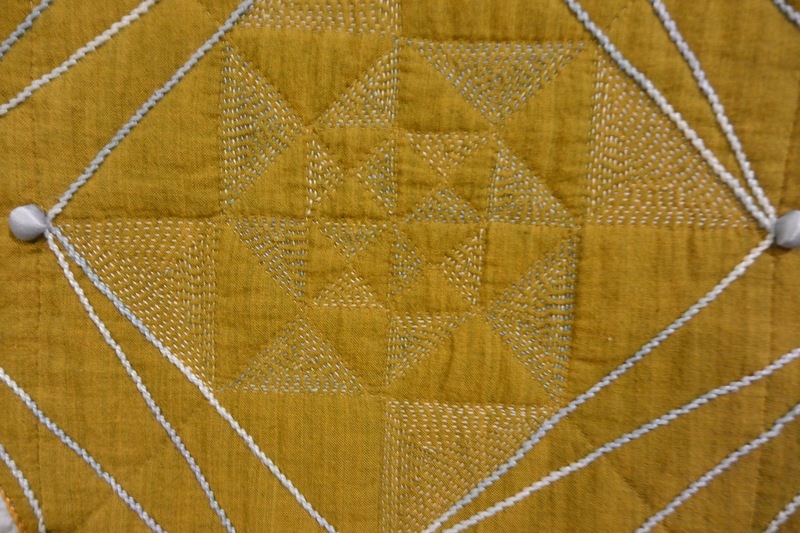 This quilt was another stunning example of excellence in workmanship and design. 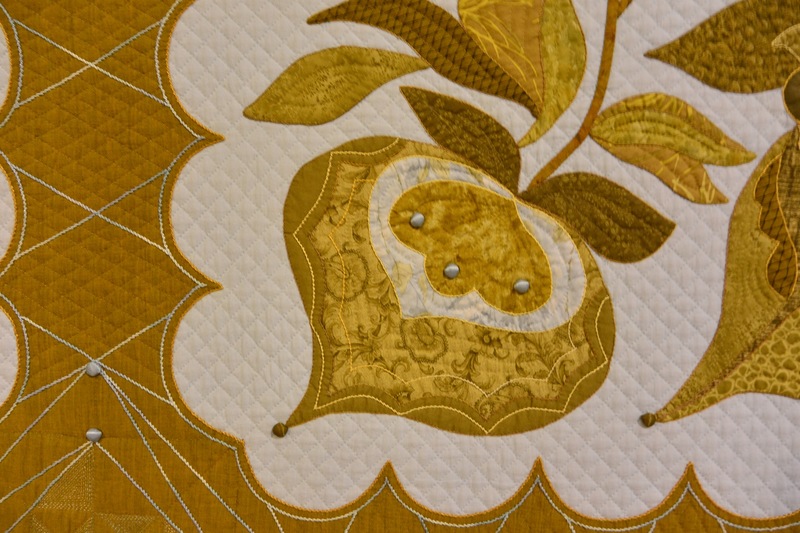 Ansa’s entry was entirely machine appliquéd and machine quilted. 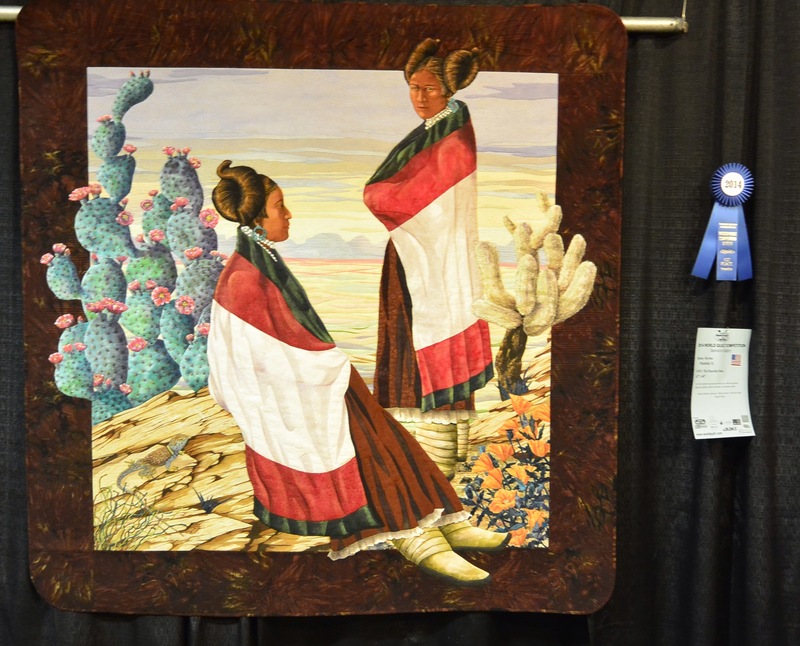 First Place in the Innovative Category went to Denise Havlan from Plainfield, IL for her entry ” The Peaceful Ones”, a masterfully executed entry. With so many excellent entries into the Innovative category the choices were numerous and decisions were weighed carefully among the judges. Congratulations to Denise! 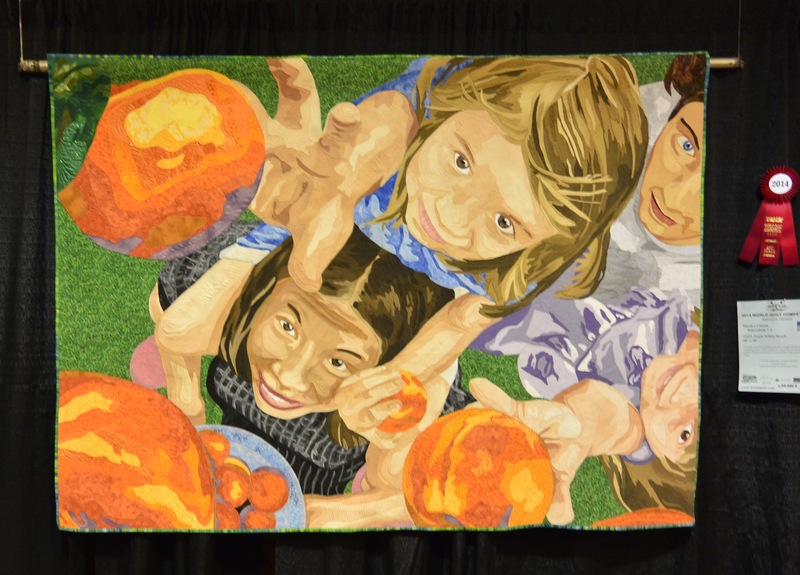 Second place in the Innovative Category went to Marilyn J. Smith from Bakersfield, CA for “Peach Within Reach”, another outstanding work and excellent study of color and value. 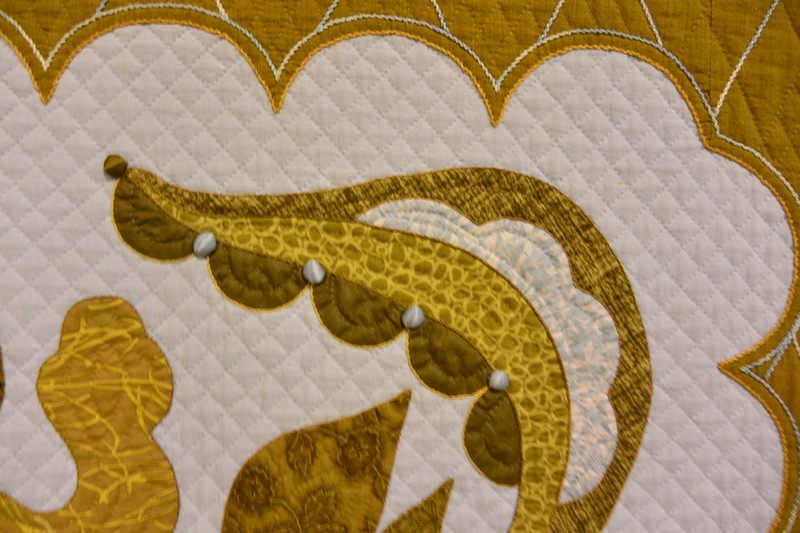 With so many quilts in the show it is always impossible to feature them all. 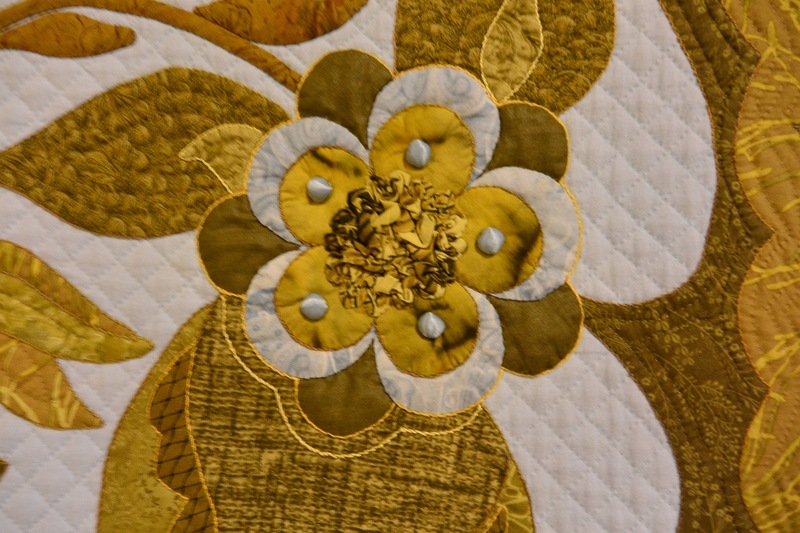 I hope I have sparked your interest and you will consider to watch for the award winning quilts at a Mancuso show in your region. 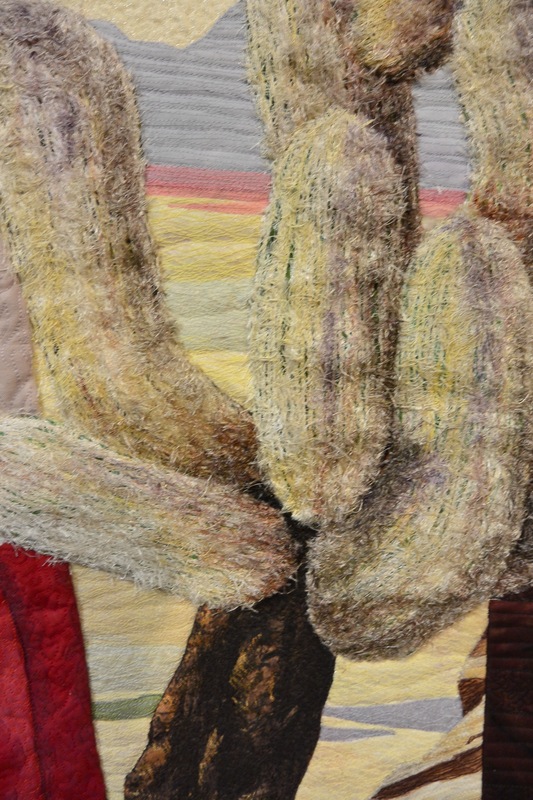 My classes are finished and I have a day to regroup, explore Manchester and pack my special exhibition later tonight. My plane leaves early tomorrow morning. The next time I check in it will be from the studio! Enjoy your Sunday. 17 Aug	This entry was published on August 17, 2014 at 7:00 am and is filed under Creativity Update. Bookmark the permalink. Follow any comments here with the RSS feed for this post. I agree with Elinor with regard to the excellent photography . 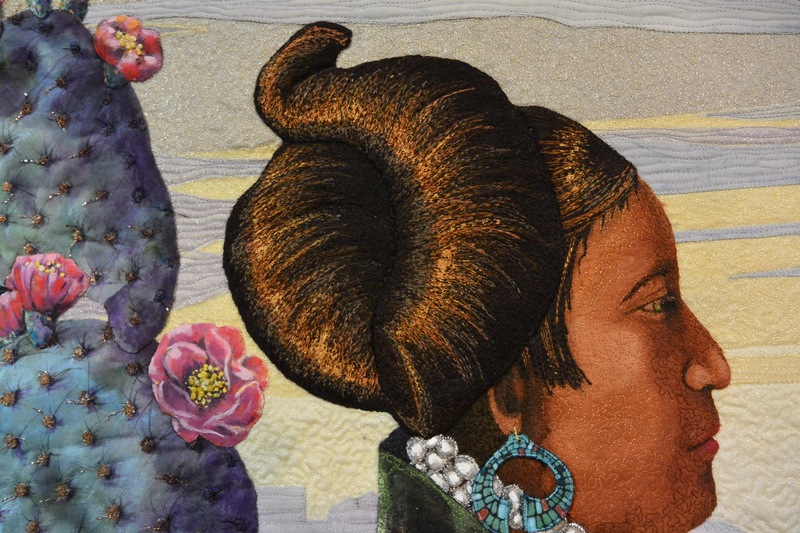 Thanks for giving us a glimpse of these wonderful quilts. Anna! Wish I could have found time to capture more images – but this has generated some great interest. 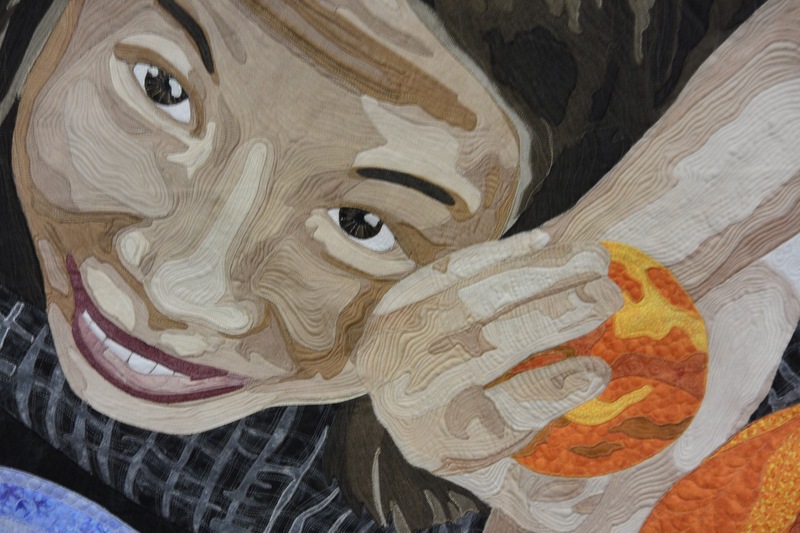 The show is fantastic and each entry demanded equal attention for the visitors. With the diversity in technique and skill level the bar was set quite high. Just wish there had been more entries from Canada – maybe next year! 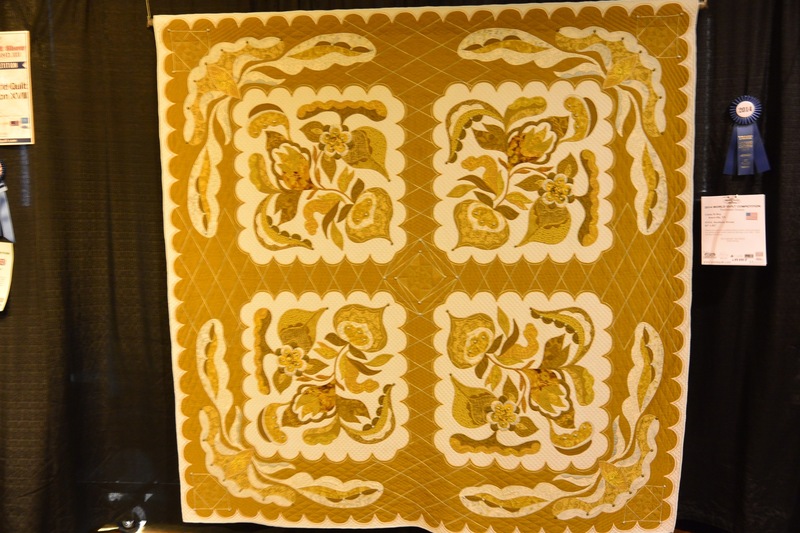 Anna, it is a treat to view these photographs of the quilts. Your skills with the camera and the clear close-up detail honours the artist’s work and gives the viewer breath taking images to enjoy. Thanks, Elinor – you would love this show!! !